Silver Select is a tall upright selection of California fuchsia. It grows to about 3' tall and wide. 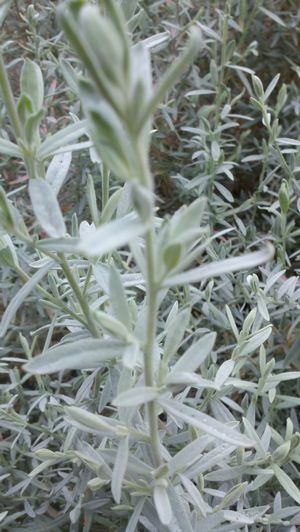 The leaves are particularly silver which really makes this plant stand out, especially when the sun's shining on it! All California fuchsias are magnets for hummingbirds and Silver Select's no exception. 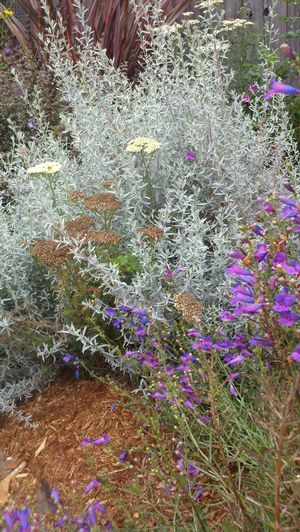 It produces masses of red tubular flowers in August and September (slightly earlier inland) which contrast strikingly with the silver foliage. Some California fuchsias spread rapidly by rhizomes (underground stems) and can sometimes be quite invasive. My experience, so far, with Silver Select is that it doesn't tend to run. We have a huge and hungry gopher population, however, so perhaps they're just eating any shoots that emerge from the gopher baskets! Silver Select's beautiful silver foliage shows really well next to plants with burgundy, dark green or blue foliage. Phormium 'Black Adder,' Ceanothus 'Tuxedo,' Ceanothus maritimus 'Valley Violet,' Ceanothus thyrsiflorus var. repens and Festuca 'Siskiyou Blue' are some of my personal favorite companions for Silver Select.